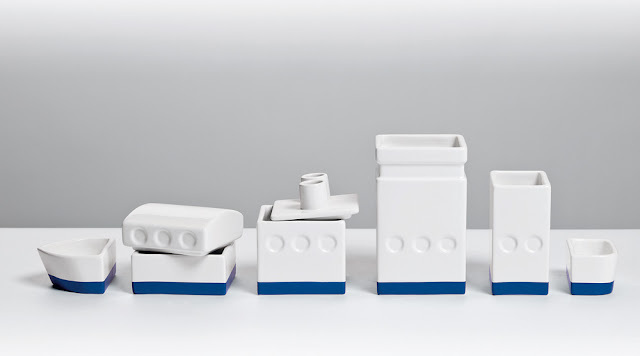 Italy's Seletti has long been producing ceramics with character, and one of its more recent ranges comes courtesy of Spanish-born London-based designer Héctor Serrano. 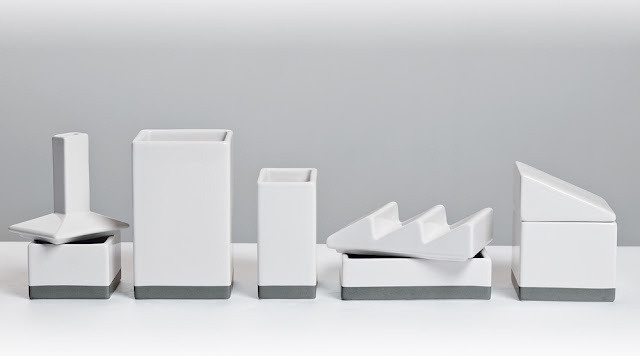 Deskstructure is a set of ceramic containers for your pencils, pens, paperclips and all those other items that need storing and sorting on your desk. 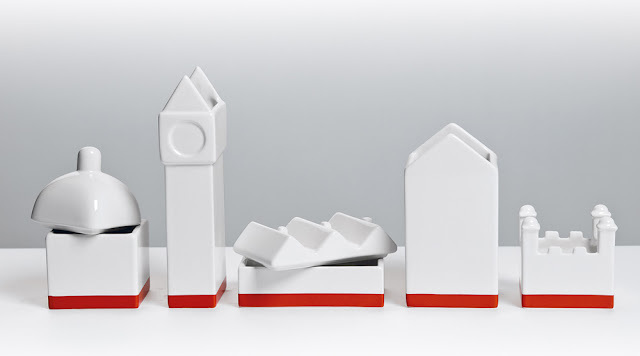 It comes in three varieties - a ship, a city and a warehouse - each glazed in white with a brightly coloured stripe around the bottom. 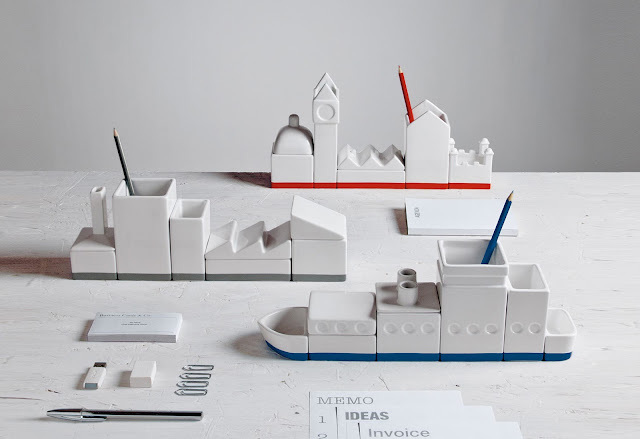 The Deskstructure set can be configured in a number of different ways, giving you the chance to build your stationery city whichever way you want!